It's been six long years since the iconic horror villain Jigsaw terrorized fans on the big screen, but the long wait for his return is about to come to an end. After weeks of speculation and unconfirmed reports, Lionsgate has handed out an October 27, 2017 release date for the eighth Saw movie, which is reportedly entitled Saw Legacy. As of now, Jigsaw has that date to himself, but he latest chapter in this horror saga will open in between a number of high-profile projects. Saw franchise co-creator Leigh Whannell's new movie Insidious Chapter 4 will hit theaters one week before this new Saw movie on October 20, along with Warner Bros.' action-thriller Geostorm. Opening one week after Saw: Legacy will be Marvel's highly-anticipated superhero sequel Thor: Ragnarok. While Jigsaw and Co. may certainly have their work cut out for them, they certainly have the potential to open big on Halloween weekend. This report from Deadline also confirms today's report that Daybreakers and Predestination directors Peter and Michael Spierig have come aboard to take the helm of this horror sequel. We reported in February that Piranha 3D writers Josh Stolberg and Peter Goldfinger were brought on to write the script, although no story details have been revealed quite yet. No casting has been announced, and it isn't known if Tobin Bell will be back to reprise his iconic role as Jigsaw. Oren Kroules and Mark Burg will produce, with Dan Heffner and Peter Block serving as executive producers. Today's report reveals that filming will take place in Toronto between September 12 and October 21. The first seven films in the Saw franchise have grossed $415.9 million domestically and $873.3 million worldwide, from a combined budget of $57 million, although that figure doesn't include the budget for Saw IV, which remains unknown. It remains to be seen whether or not this iconic villain has what it takes to terrify audiences after an extended hiatus. 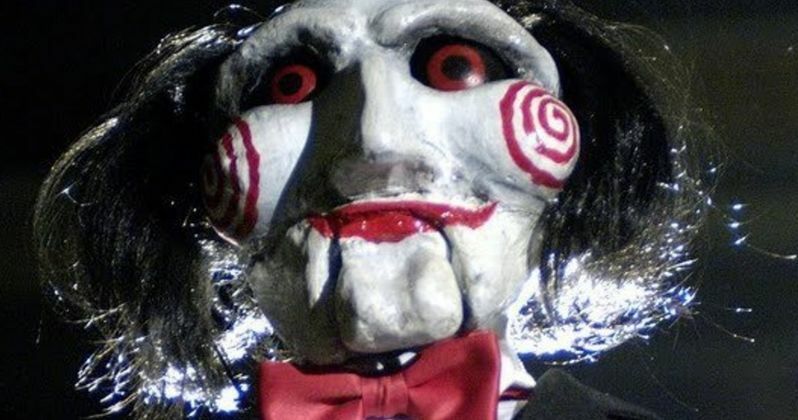 There had been rumors that original Saw creators James Wan and Leigh Whannell may return to the franchise, but it isn't clear if that is happening. James Wan is getting ready to direct Warner Bros.' superhero adventure Aquaman, while Leigh Whannell is taking the helm on Insidious Chapter 4. Stay tuned for more on Saw: Legacy as soon as we have more information.